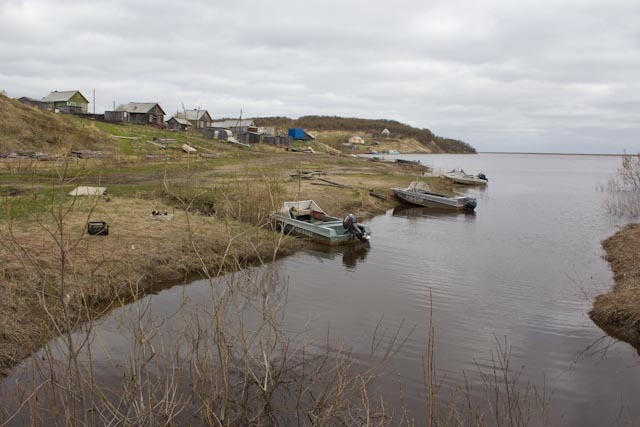 When the first Komi settlers arrived to establish the village, the reindeer herders of the Nenets Kolkhoz “Naryana Ty” (red reindeer) led a fully nomadic life with their families out in the tundra. Their children went to school in the Russian village of Kotkino and came home only for the school holidays in the summer. 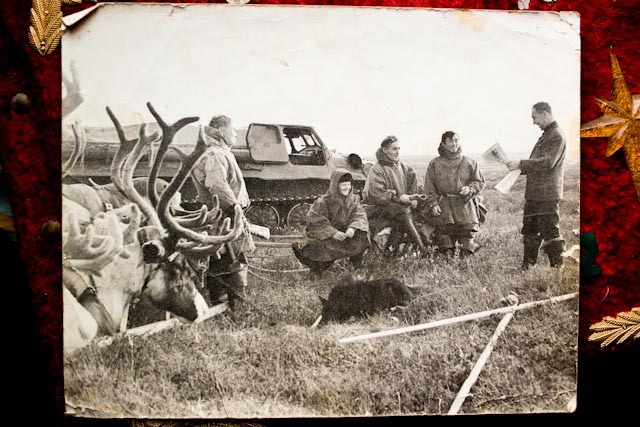 At the beginning of the 1960s some scientists and bureaucrats from Naryan Mar decided together with the management of the Kolkhoz to sedentarise the nomads and revolutionize the reindeer herding to an organization of work called smennyi vypas (shift herding), which means fly-in / fly-out with helicopters. All nomadic families were relocated to the village between 1959 and 1964, where Soviet style Kolkhoz houses were built for them. How did the revolution in reindeer herding work look like? The former herder Yegor Iosifovich explained it as follows: The herders watched the herd around the clock replacing each other and one of them made the household work and cooking. A shift of three herders was replaced by another shift of three herders, so that one herd was herded by six herders. The shift lasted half or a whole month. 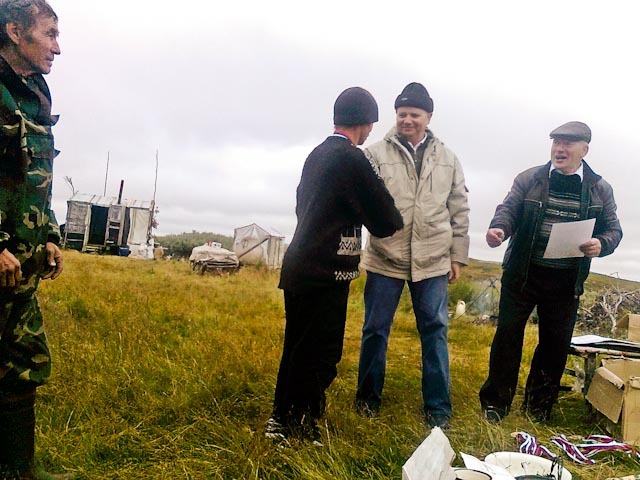 Picture of the “Day of the Reindeer” 3th August 2011 made by a herder. In the background the cabins herders are living in now and that are pulled by the reindeers. The head of the cooperative hands out medals for the winner of sports competitions. The other half of the time that herders had to stay in the village was not free time. 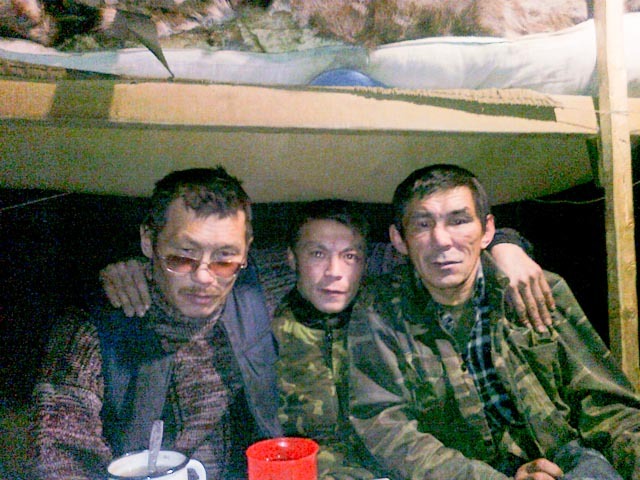 The herders had just three days for recreation and had to work than for the Kolkhoz. At that time the collective farm had horses, cattle; a fur farm, and a construction unit to build new houses. Up to the perestroika the reindeer herders were transported by helicopter, but nowadays the expenses are too high and the reindeer herders are transported by tank-like vehicles called “vezdekhod”. They live in tent-like cabins pulled by the reindeer on the migration route but often stay longer periods than a month now. Another older picture from the “Day of the reindeer herder” from the collection of Aleksandra Germogenovna. In the background the tank-like vehicle “vezdekhod”. Asked about the reason for this innovation, the current head of the cooperative Prokopi Prokopievich reminds that this method was used at the same time by geologists exploring the vast northern expanses for subsurface resources like oil and gas. It was supposed to increase the productivity of herding. This worked by removing all ‘surplus’ from the tundra, and just leaving a working team of men with the herd. Not having to pull entire households across the tundra, living in a cabin especially designed for them, made a strange gender shift possible: All human women and children could be removed from the tundra, and most reindeer-men (castrated bulls for pulling households) could be slaughtered because there was no work for them anymore. 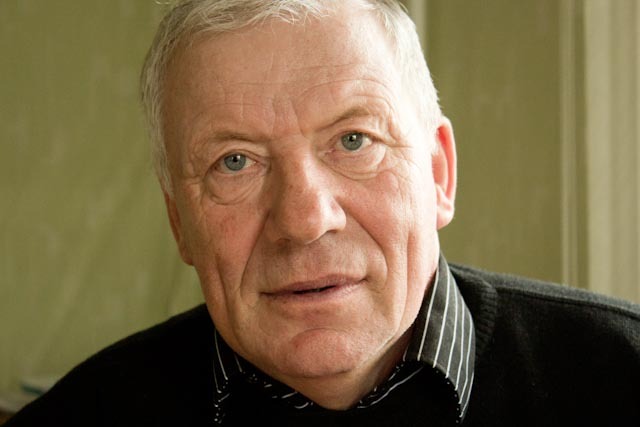 Prokopi Prokopievich, the head of the cooperative today. Together with the introduction of Russian drinking culture which links masculinity with strength in alcohol consumption, the consequences were devastating. A visit to the village cemetery proved what the elderly women told: life expectancy of the men among the Nenets population is very low. Almost all of the elders and all of the people I met in the school, the post, the house of culture and the village administration are women. This phenomenon is not unique for Khongurei and was described as “gender shift” all over the Russian North (see special issue of The Anthropology of East Europe Review, Vol 28 No 2 (2010)). Reindeer herder within the cabin, sitting on one of the bunk beds in the cabin. On the left and right Egor and German Taleev, brothers of my host in the village. Picture made by a reindeer herder. Thanks to the “House of Culture” of Khongurei. 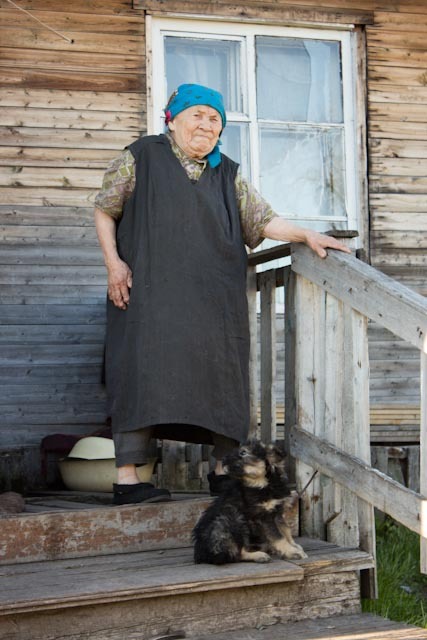 The elder Nenets reindeer herders’ wives Aleksandra Germogenovna, who was born 1927, and Stalina Yakovlevna , who was born in 1939 told that most of the women didn’t want to resettle to the village. To be separated from their men most of the time and to get acquainted with a completely different lifestyle was not easy. Stalina told that she was not able at the beginning to make fire in the oven and produced a lot of smoke. She had to ask a friend to come with her to the shop because she was afraid to go alone. But nobody resisted. Too fresh was the memory of repressions. The father of Alexandra Germogenovna died in prison in Arkhangelsk after being denounced to be against the Soviet power at the end of the 1930s and her husband went to prison for several years for losing some reindeer in the herd of the Kolkhoz. Smennyi vypas was not introduced in all herding cooperatives in the area. In the closest enterprises to the regional centre Naryan Mar it made most sense because of shorter migration routes and less transportation costs. Incidentally, it is in these places, where reindeer herding as an economy and a way of life struggles now most for survival and the number of reindeers is shrinking. Without any jobs outside the state run facilities young people are leaving the villages for the regional centre of Naryan Mar. The population is shrinking since the 1990s and there is the danger that the villages will die together with the old people that remain. Knowledge does not get transmitted to the young generation anymore. Anthropologists talking with elders about that memory may become an incentive for younger people to listen – but it will never replace the practice of living as a family in the tundra. We can wonder if oil and gas workers also think like this about fly-in/fly-out, but that is another story about which you can read elsewhere (see the book “Biography, Shift-labour and Socialisation in a Northern Industrial City“). 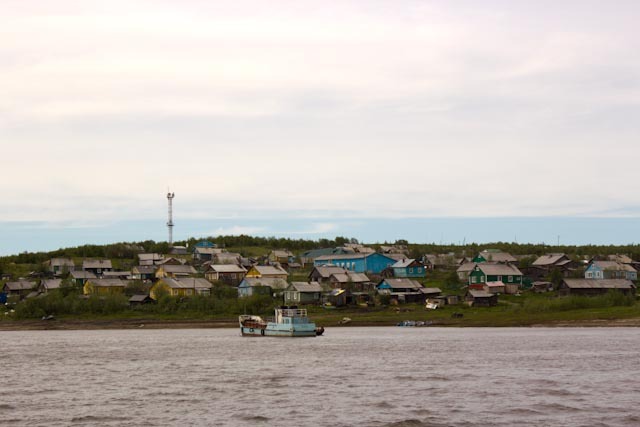 This entry was posted in All, Fieldwork, Indigenous Peoples, oral history, Russian North, Theoretical Issues and tagged Anthropology of the North, Fieldwork, fly-in/ fly-out, indigenous people, Nenets, Orhelia, reindeer, reindeer herding. Bookmark the permalink.